Feed 3 was founded by a group of business leaders to end hunger. Recognizing the hunger need of greater Dallas, FEED 3 was launched in 2010. The founders are: Randy Skinner, Executive Director of the Greater Dallas Justice Revival and Strategic Justice Initiatives, Steve Riach, (Founder of Heart of a Champion® character program), and Russell Lake (Co-Founder of the One Heart Project supported by many professional athletes and business leaders). The three men believe that a pro-business model is the most effective strategy in eradicating widespread hunger in Dallas. 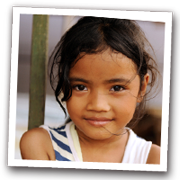 Feed 3 is a holistic approach to end hunger, by feeding the body with nutritional foods, feeding the mind with character based programs, and feeding the soul, by partnering business and church groups with impoverished communities. The Feed 3 mission is more than another food pantry program as it integrates practical and proven methods. The Feed 3 approach helps to enrich the community on multiple levels so that people are nourished physically, encouraged personally and fortified through social and economic development and growth. Randy Skinner, witnessed first hand the strength of partner-ing with the business community to effect change. Skinner was actively involved in the transformation of a poverty ridden area of West Dallas into a thriving community. “We saw devastation in housing that contributed to poverty and hopelessness until we introduced an aggressive pro-business housing program. We knew that a pro business approach, one which would encourage economic growth and development, was critical to helping eradicate hunger in our struggling West Dallas community. Skinner believed if the generational cycle of poverty was to be broken, it required educating a new generation. “Both the inner city and business community needed a new model, we provided that model and real transformation had occurred.” he said. 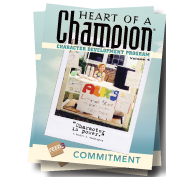 Steve Riach’s Heart of a Champion program takes a similar approach. Site by SEED. © 2010-19 Feed 3. All Rights Reserved.